Petition: White Supremacists Don't Belong In Congress. It's Time for Steve King to Resign! White Supremacists Don't Belong In Congress. It's Time for Steve King to Resign! 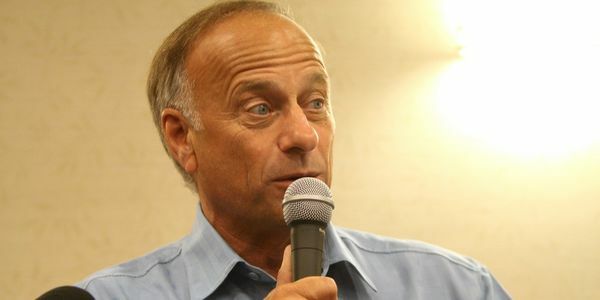 Iowa Republican Steve King has a long history of being terrible, including a string of racist remarks, opposition to animal welfare, bizarre comments about sexual assault, and more. He's proud of writing the playbook used by politicians like Donald Trump to persecute immigrants and demonize communities of color, and for years, the fact that he's a white supremacist has been widely understood. But like many white supremacists, King was careful to couch his language, trying very hard to stay on the side of plausible deniability to avoid the consequences for his beliefs. That changed earlier this month when he proudly identified as a white supremacist for the Times, indicating that he doesn't see the problem with his attitudes and in fact felt quite comfortable about them. That went too far for Republicans, and they stripped him of his committee assignments. The problem is, King's still in Congress. A man this hateful clearly can't represent the people of color among his constituents, and is in fact actively working to build a world where they are unsafe in their own communities. Iowans are turning on King, seeking representatives who better reflect their values, and King's failure to take his role as an elected official seriously is a poor reflection on his state and his party. It's time to resign, Steve. The United States is in a state of flux and while a white supremacist may head the Republican Party, he doesn't speak for the people. In fact, the people sent an incredibly diverse class of new representatives to Congress in 2018, showing that they care about diversity and inclusion and believe communities of color should be playing an active role in making the laws that govern our country. Don't drag this out, Steve. You know that your party is going to apply increasing pressure to step down in order to avoid the colossal embarrassment you've become. Depart Congress on your own terms, and let the grownups get back to governance.